Blend all ingredients except for the last 4 in a Nutribullet or Blender. 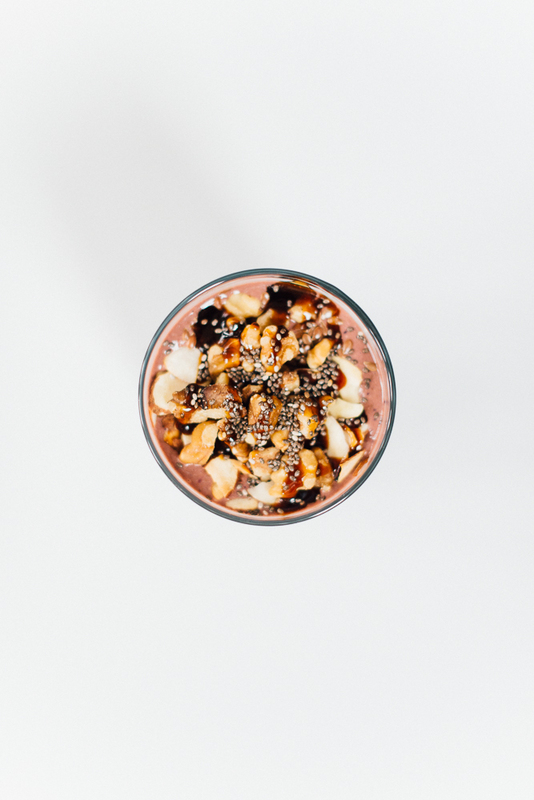 Pour into glass and top with the nuts, seeds, and drizzle of sweetness! You can add ice cubes if you want, but I like mine room temperature, especially in the morning because it's easier to digest. I also add adaptogens, so if you use those powders, feel free to add some into your smoothie!